GTSC global Transportation service is an international chauffeured transportation service, offering luxury limousine service, greet and coordination, transportation management, tour packages, air charter, personal concierge service, and a vast array of other luxury transportation services around the globe, twenty-four hours a day. gtsc companies are the premier choice in chauffeured luxury and volume transportation. 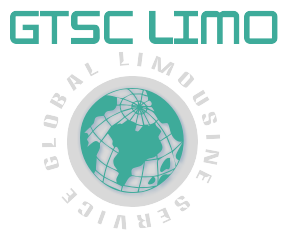 GTSC global companies offer comprehensive ground transportation services to individuals, meeting and event planners, studios, travel agents and corporate clients. We have bases services in every major city in the United States, most remote markets, and major international populated areas. We offer an exquisite fleet of newer model luxury vehicles, from Town Cars and limousines, to luxury SUVs, vans, shuttles and coaches, to high-end exotic sports cars. The 24*7 global limo services are available for individuals and corporate clients. From small town cars, vans to luxurious limousines, empire limos and exotic sports car, you can book any vehicle to serve your purpose. Our corporate limos cover even the remote markets in United States and reach where no one else does. Our luxury transportation services operate around the globe.